Put mango, yogurt, milk, sugar and cardamom into a blender and blend for 2 minutes, then pour into individual glasses, and serve. Can sprinkle with a little cardamom. 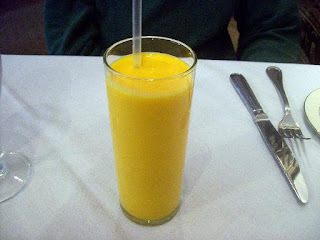 The lassi can be kept refrigerated for up to 24 hours.